Matt and his wife were on a getaway weekend fishing in the Yellowstone/Beartooth Mountains. Fishing is a big part of the Buhler’s life and they take their three kids with them as a family activity. 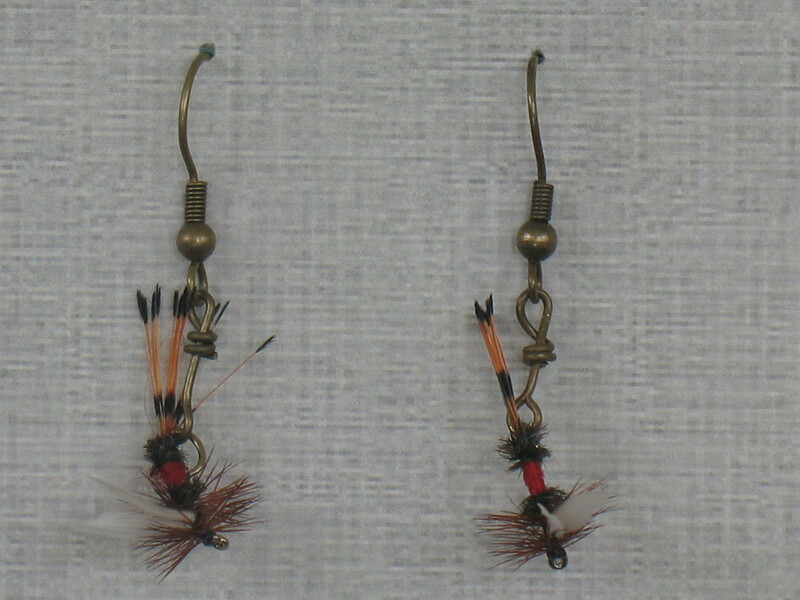 While on that trip, his wife was looking as some earrings in one of the stores and said it would be very cool to have fishing earrings. “You never see them and I would love some,” she said. Matt loves making things and ran with the idea and created several options. His wife gave them a yes or no and that was the beginning of Eberle Wear. Eberle Wear is a family business. The Buhlers operate it out of their house and Matt has a room dedicated to the production of earrings. He hand makes each one while his wife is in charge of quality control, marketing and promotions. Matt manages the website and both Matt and his wife work on processing orders. Even the kids help out by assisting with the earring cards, attaching stickers/pricing, etc. Eberle Wear welcomes custom orders. 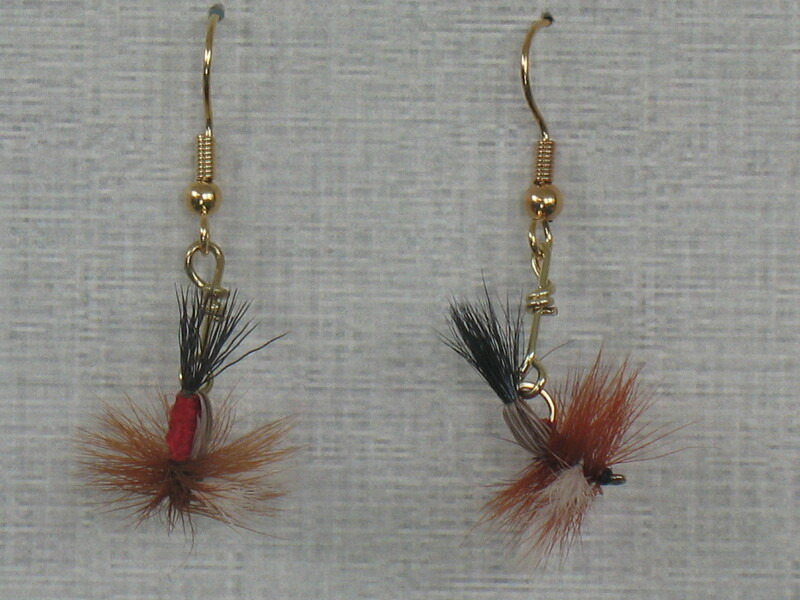 They can use any fly pattern out there and attach them to gold, silver or antique brass earring hooks. 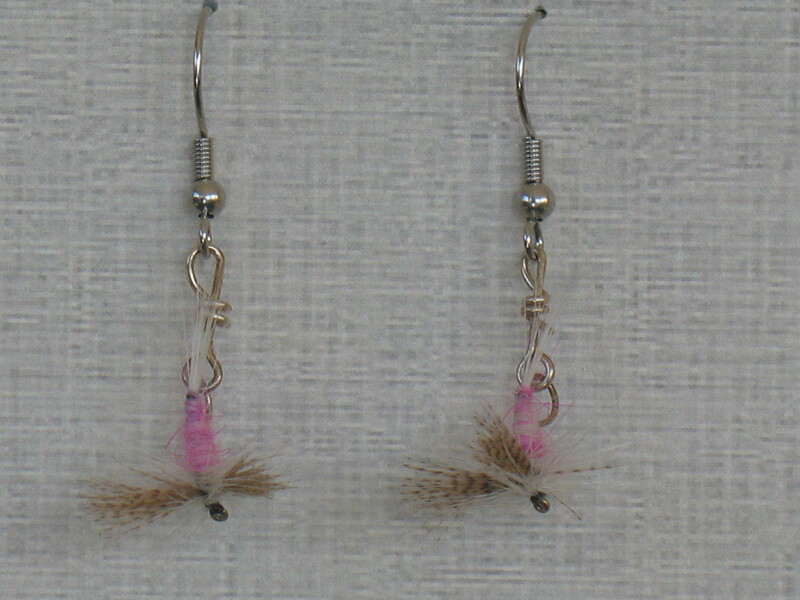 Where the custom order really becomes apparent is the spinner earrings. Eberle Wear can custom make the flies using colors of anyone’s school, favorite sports teams or just their favorite colors. Based out of Casper, Eberle Wear has all the high school colors as well as the University of Wyoming colors. Both Matt and his wife graduated from UW and wanted to show their Poke spirit so they have brown and gold earrings. People can send their own flies/lures, however it is easier to contact the Buhler’s and let them know what fly pattern or spinner colors are wanted and Eberle Wear can produce them. Prices are very reasonable at $15 – $18; pricing for custom orders may vary. The easiest way to purchase Eberle Wear products is by visiting their website at www.eberlewearjewelry.com. 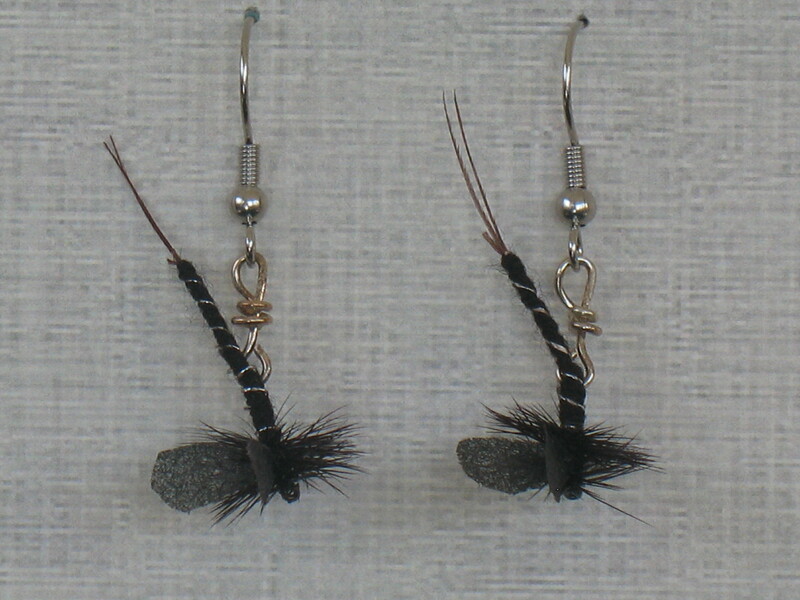 Eberle Wear has a standard set of fly and spinner earrings through an online store. People can also contact them via email at eberlewear@gmail.com or by phone at (307) 277-1561 to place an order. If anyone is interested in custom orders, email and phone are the best ways to contact them. Eberle Wear is named after Matt’s wife Eberle which is a family name; it was only appropriate since Eberle came up with the idea. Eberle Wear will eventually be expanding into other types of jewelry including bracelets/anklets but wanted to test the market first. 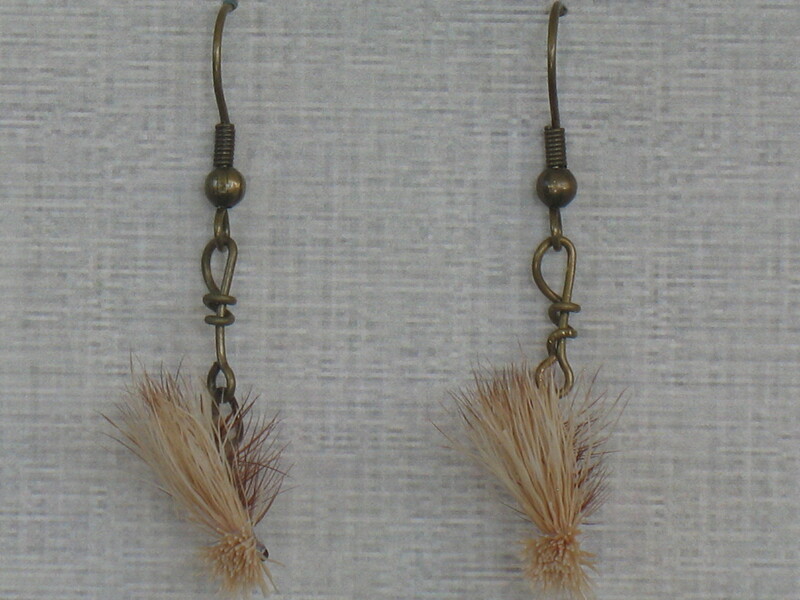 These earrings were designed to add a touch of the great outdoors to any setting. This entry was posted in Uncategorized and tagged Eberle Wear Casper Wyoming, Made in Wyoming, www.wyolifestyle.com, www.wyovore.com, Wyoming Business Council, Wyoming FIrst Program, Wyoming Lifestyle Magazine, Wyovore. Bookmark the permalink.